I do love to see odd spaces put to good use! What’s not to like? Love it. Good use of the space. I like it. 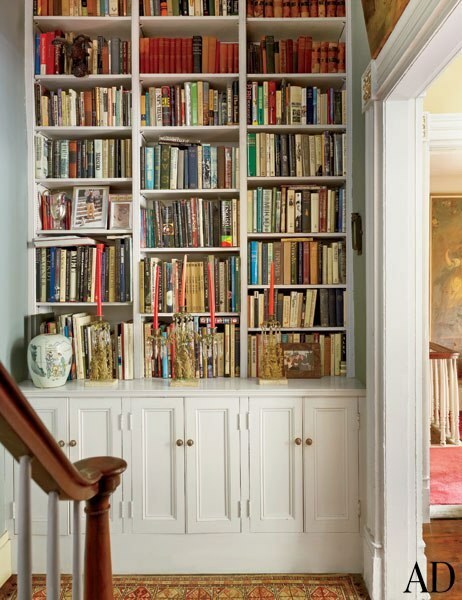 Attractive but I fear the book I would want to grab would be just out of reach! Put to EXCELLENT use! The only way to improve it would be to rip the doors off the cabinets so you can use the cabinet shelves as step stools to reach the highest shelves.